Abiding by ethical business policies, we are engaged in manufacturing and supplying a precision-engineered Cross Support Pipe. Under this reliable range, we offer Truss Cross Support Pipe, Heavy Cross Support Pipe, Cross Support Truss Pipe and Swimming Pool Pipe. Under the guidance of our professionals, these pipes are manufactured in adherence with the illustrated guidelines of the industry. Longer life, corrosion resistance and low maintenance are some of the features of this range. 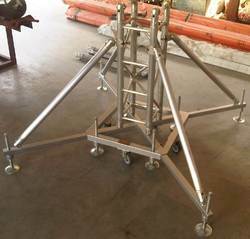 With the expertise of our professionals in this domain, we are able to bring forth a quality approved Truss Cross Support Pipe. In order to stand tall on the expectations of our patrons, we manufacture the entire range using high-grade raw material that is obtained from the accredited vendors of the industry. Owing to our transportation facility, these pipes are delivered to the customers' premises in stipulated time-period. 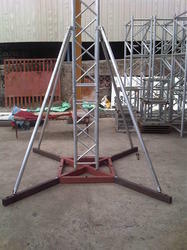 To fit the needs of our patrons, we are engaged in manufacturing and supplying a peerless Cross Support Truss Pipe. We manufacture these truss pipes by making use of quality checked raw material, which is obtained from the reliable vendors of the industry, who are selected by our professionals. With the aid of sophisticated machinery and technology, these pipes are developed in adherence with the industry set guidelines. 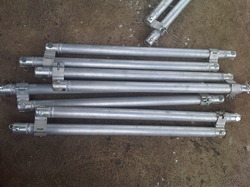 Being a client-centric organization, we put forth an innovatively designed Heavy Cross Support Pipe. Quality-approved raw material like aluminum and basic components are utilized in the manufacturing process to get relieved on their quality front. Post-production, these pipes are thoroughly examined on the various grounds of quality to eradicate defects.